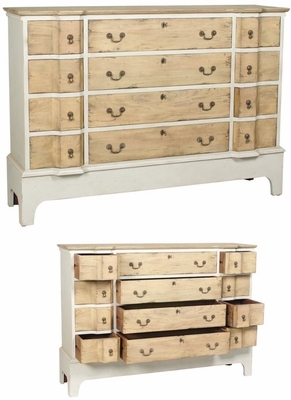 BASIL COTTAGE CHEST - Sage Grey finish on solid wood chest. 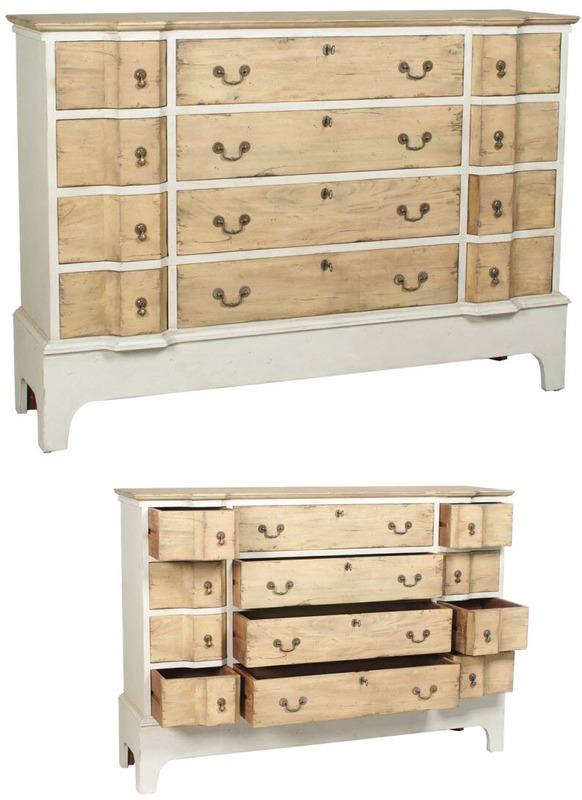 Artisan Stain finish on drawer fronts and chest surface. Antiqued bail, pendant, and locking hardware.